AKIPRESS.COM - Brazil's former President Michel Temer was arrested on Thursday as part of the sweeping anti-corruption investigation known as "Car Wash", police said. According to the Federal Police office in Rio de Janeiro, authorities carried out 10 arrest warrants, including that of Michel Temer, as well as 26 additional search warrants on Thursday, Al Jazeera reports. Local media reported the former president was arrested in his house in Sao Paulo and flown to the Federal Police office in Rio. 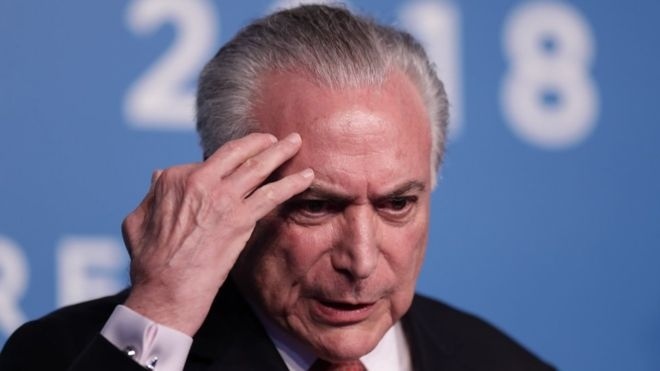 Temer, who was president from 2016 to 2018, was hit with corruption charges during his presidency regarding management contracts of several ports in Sao Paulo. Those charges were blocked by his allies in Congress. His arrest was imminent, however, after he left office because he was no longer afforded certain legal protections.